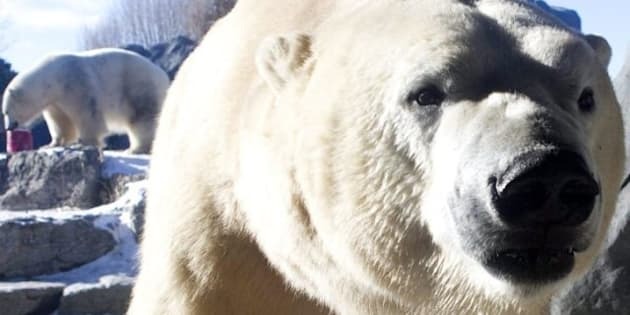 A northeastern Newfoundland lighthouse keeper says he had an uncomfortable feeling he was being watched hours before his close encounter with a polar bear. "It was like a cold shiver that went over me, I thought, 'There better not be no polar bear behind me,'” Joe Goodyear, who works at Puffin Island Lighthouse, said about the Tuesday incident. Meanwhile, the RCMP officer who killed the bear said he had to make a quick choice that put public safety ahead of the animal's welfare, and that he did not have enough time to wait for wildlife officers to arrive with a tranquillizer. Goodyear told CBC News that his fears were realized around 2 p.m., when his co-worker spotted the big animal first. "Me buddy roared out, saying, ‘Polar bear! Polar bear!" They called the police and wildlife officials as they watched the bear lumber toward the lighthouse. Goodyear said the animal tried to get into the building, so they opened a window and made a lot of noise. That drove the bear away, but it sped towards nearby Greenspond. RCMP Cpl. Dale Lewis said he was alerted about the bear just after the incident at the lighthouse, and quickly determined that safety was at risk. "The bear was very close — close enough that we could hear it, growling or making the noises of a bear," Lewis told CBC News on Wednesday. "I could see that the bear was coming into the community. There was a lot of people around, standing around the shoreline," said Lewis, who was in contact throughout the incident with wildlife officers. Lewis, who was told that a team that could tranquillize and then airlift the bear would not arrive for as long as an hour, said he was particularly worried that children at a nearby school would soon be released. Lewis did not learn until later that the school had been put into a lockdown. Lewis killed the bear with three bullets from his rifle. "As a protected species, you feel a little bad," Lewis said. "But if I didn't do that and one of those kids had been injured with that bear, that would make me feel a lot worse, and that's the way I look at the whole thing." Goodyear, who has been a lighthouse keeper for 25 years, said he’s never come so close to a polar bear before. He said he doesn't usually carry a weapon to work, but he’s thinking about it now. It was the second polar bear shot on the Island of Newfoundland this spring. At least three other bears have been reported in coastal Newfoundland communities since late March. A DFO scientist said the bears are hunting seals on pack ice that has blown close to shore this year.